Modernisation of the Ukrainian railway service is one of the priorities of EU-Ukraine cooperation in the transport sector. 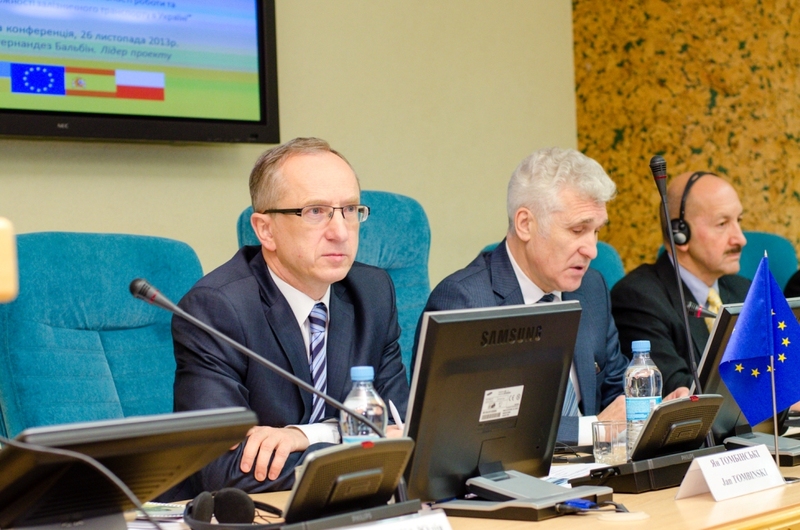 This issue was discussed during the inaugural event of a new Twinning project aimed at increasing the efficiency of Ukrainian railway transportation. 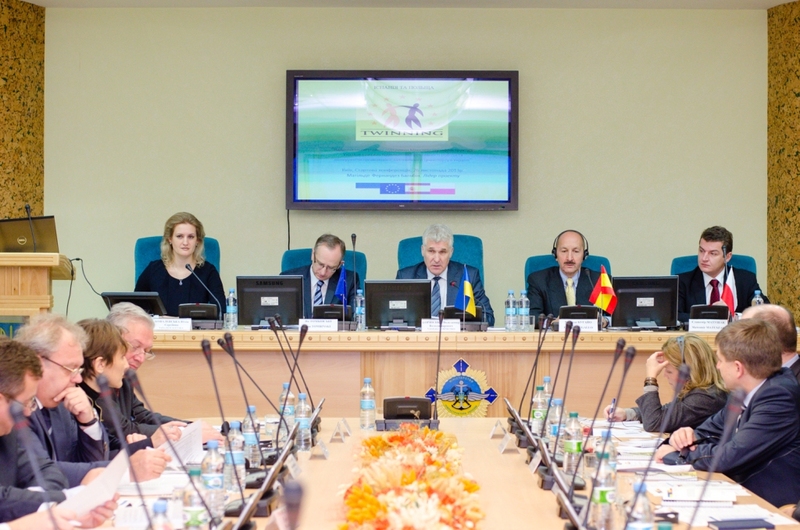 The project will be implemented by a consortium of Ukrainian, Spanish and Polish railway agencies. It was presented to the public on November 26 in Kyiv. Speaking about the prospects for the Ukrainian railway sector, Jan Tombiński, head of the EU Delegation to Ukraine, stressed the necessity of ensuring that Ukraine’s railway infrastructure is compatible with that of its western neighbours. The diplomat reminded the audience that the EU-Ukraine Association Agenda foresees the gradual convergence of Ukrainian transport legislation with relevant European norms and standards. Ukraine needs to open its railway market to competition, Tombiński said, adding that Kyiv should also eliminate trans-sectoral subsidies between freight and passenger railway transportation. This, according to the diplomat, is also among Ukraine’s commitments to the World Trade Organization (WTO). “In the coming years, the EU will invest €28 billion in the railway infrastructure of its member states,” Tombiński said, underlining the importance of the sector for the EU’s economy. Since 2007, the European Investment Bank (EIB) has already allocated about €700 million to Ukrainian transport sector projects. “This money, however, will be wasted without the necessary reforms,” Tombiński added. Gerardo Angel Bugallo Ottone, Spanish ambassador to Ukraine, emphasised that the current challenges in the Ukrainian transport sector are similar to problems that Spain has successfully tackled in the past. “As in Ukraine, railway transport plays a key role in the Spanish transport sector,” the ambassador noted, adding that today the Spanish network of high-speed trains is considered to be one of the best in Europe. Slawomir Matuszak, representative of the Polish embassy to Ukraine, for his part, focused on the Twinning project’s goals. He stressed that Spanish and Polish experts will assist Ukraine in developing its railway transport legislation and in preparing the sectoral development programme. Matuszak added that the issues of tariffs and technical and safety norms will be also covered by the Twinning project. The Twinning project, “Institutional Support to the Ministry of Infrastructure of Ukraine on Increasing the Operation Performance and the Competitiveness of Rail Transport in Ukraine,” aims at modernising Ukrainian railways. The overall budget of the project equals EUR 1,8 million. As of November 2013, the overall Twinning work plan consists of 61 projects including 26 completed initiatives and 35 projects in various stages of preparation or implementation. Ukraine’s Ministry of Infrastructure is the beneficiary of six twinning projects. Three of these projects have already been completed, two are in the implementation stage and one is under preparation.